The Orchard Orange juice powder is made from 100% natural ingredients. 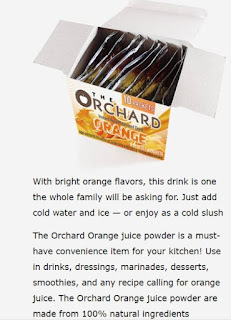 Get a free sample all natural Orchard Orange Juice Powder. Just click the link below to go to the website to fill out the form to get a free sample.